In the cooperation with yoocan, I regularly share inspiring stories from people with limb differences that have originally been published on the yoocan page. 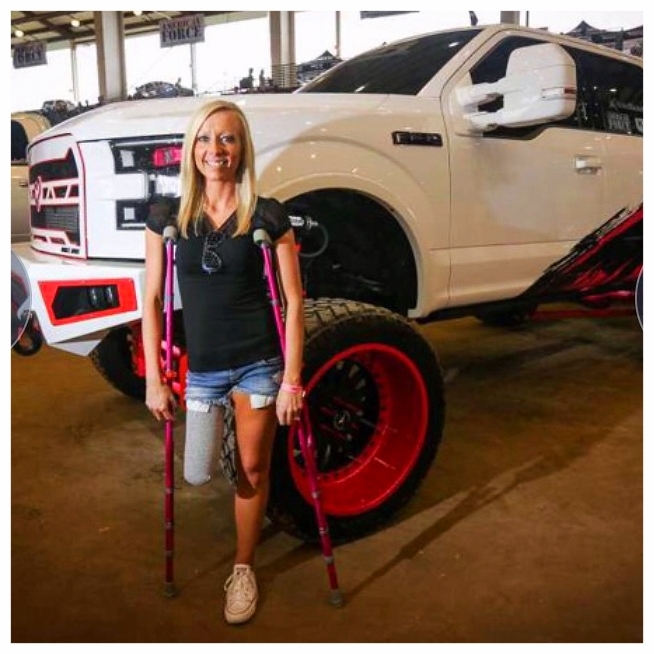 Today we hear from Kristy, am amputee from Missouri who is now a household name in the often male-dominated lifted truck scene. I was born with a benign spinal cord astrocytoma, a rare tumor that grew inside of my spinal cord. Through various surgeries, specialists have been able to remove the tumor. However, each time it grew back. I’ve had 20 surgeries, including rods and a spinal fusion for scoliosis, two-leg lengthening’s, a foot reconstruction, and many more. Due to those surgeries, doctors told me I would not be able to walk, but I continue to prove them wrong. I recently became an amputee, after deciding to electively cut off my leg due to numerous infections. I met the person who encouraged me to undergo this procedure at a car show, and looked into a prosthetic. It's amazing how you meet people just at the right time. I’m a firm believer that everything happens for a reason, and that it’s all about your attitude towards your situations. I choose to embrace mine, and I want to show others that it is important to be positive and embrace theirs. If you’re not happy with your situation, fix it. Find the positive in everything, because if I can smile and be happy with one leg, it proves that you can make the best out of everything. This story was first published on yoocan. Guest post by Kristy Wimberly. 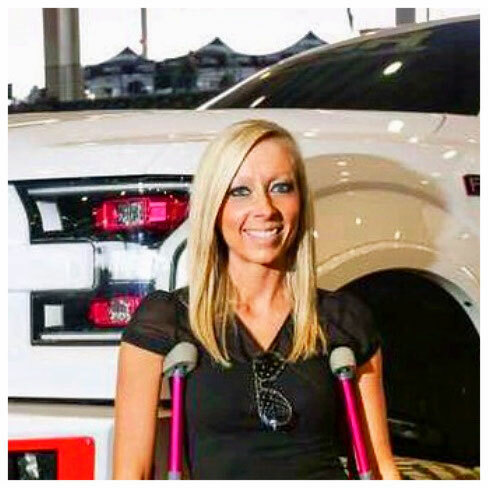 Kristy is a mom to a three year old, wife to an amazing husband who is a mechanic, a full time worker where she loves her job, an avid lifted truck lover, and a person who has had a disability her entire life. Recently, she opted for a leg amputation and could not be happier! Read more about here here.